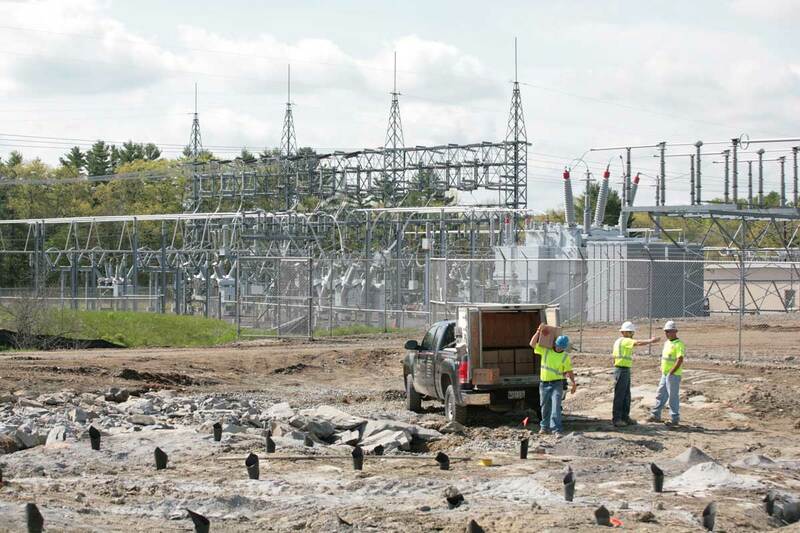 May work started on the 345kV substation for a major upgrade. 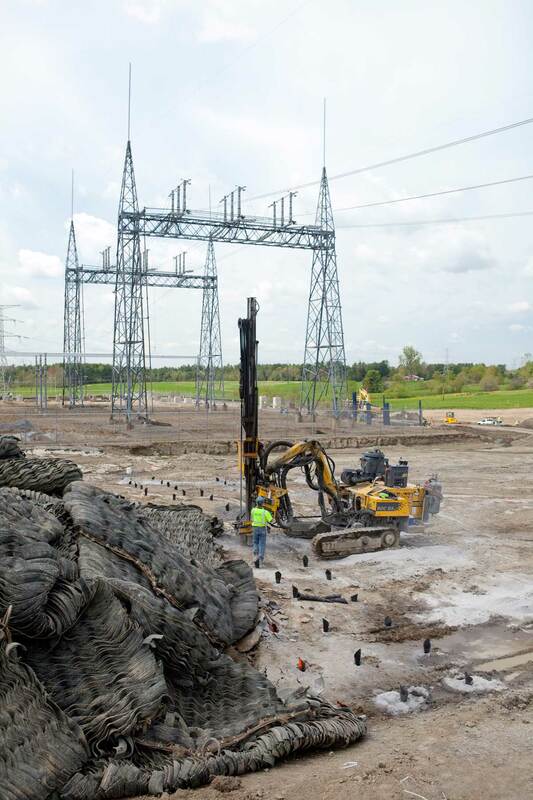 The initial phase involved 2,000 cubic yards of drilling and blasting for the first group of foundations outside the original fence. 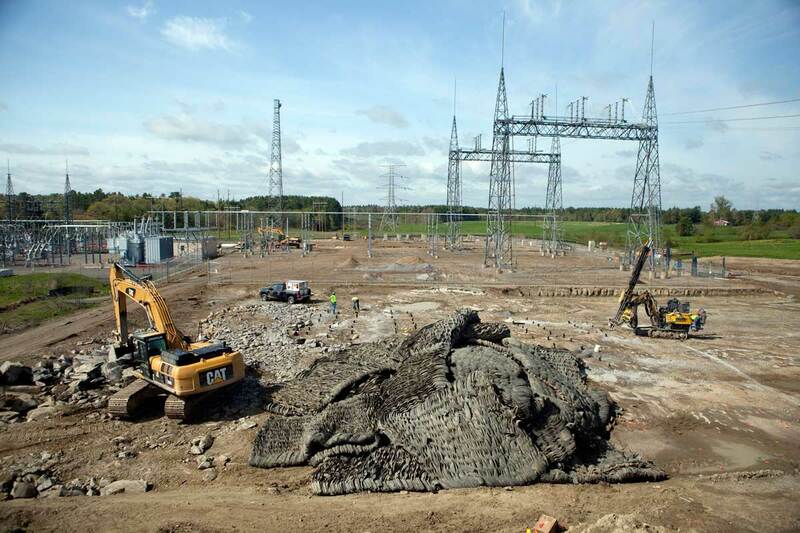 In conjunction with these foundations, Maine Drilling & Blasting used a hoe ram, aided by a percussion drill, to mechanically remove rock near the existing relay building. 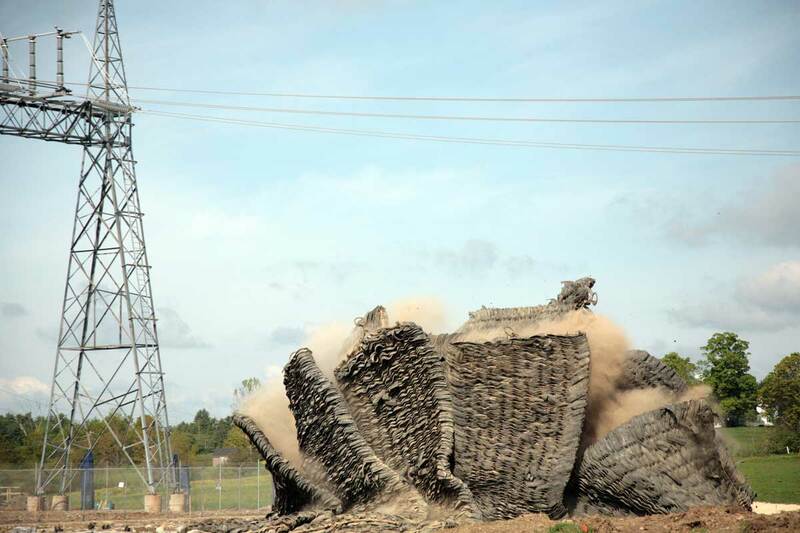 The rock removal subcontract limits blast energy to .5 inches per second at the relays. 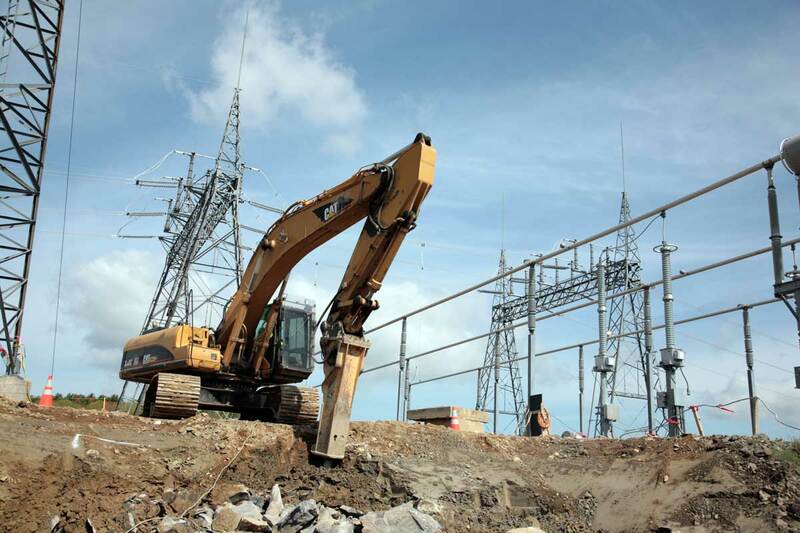 The unit price combines mechanical and blasting, depending on the method that will achieve the protection of the relays. 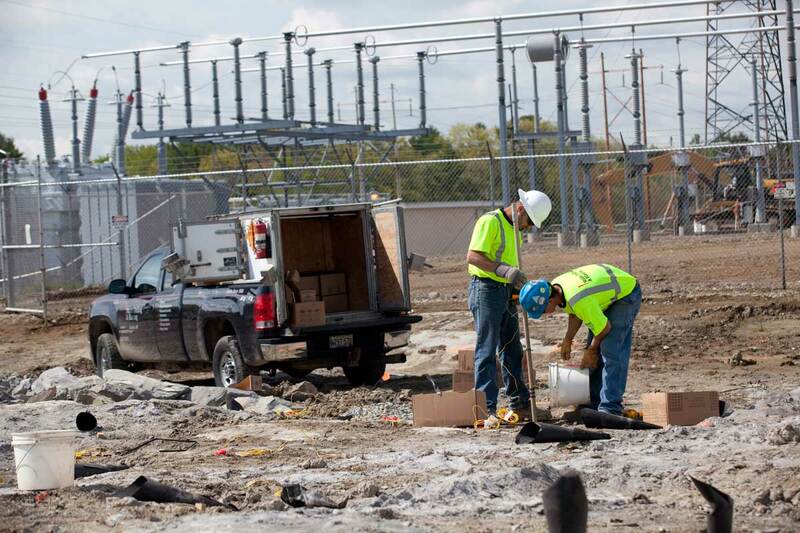 Power Engineers are the design build GC. 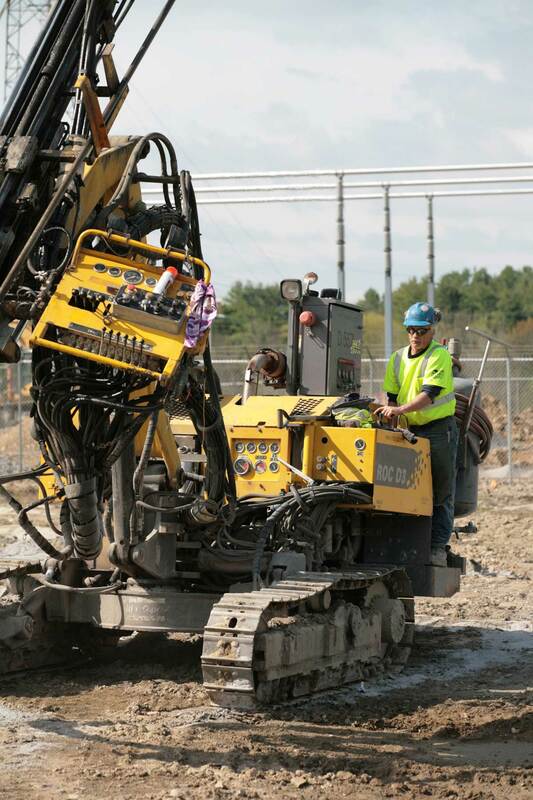 Maine Drilling & Blasting worked with them to offer a rock anchor alternative for site conditions where anchors are more cost effective than blasting. 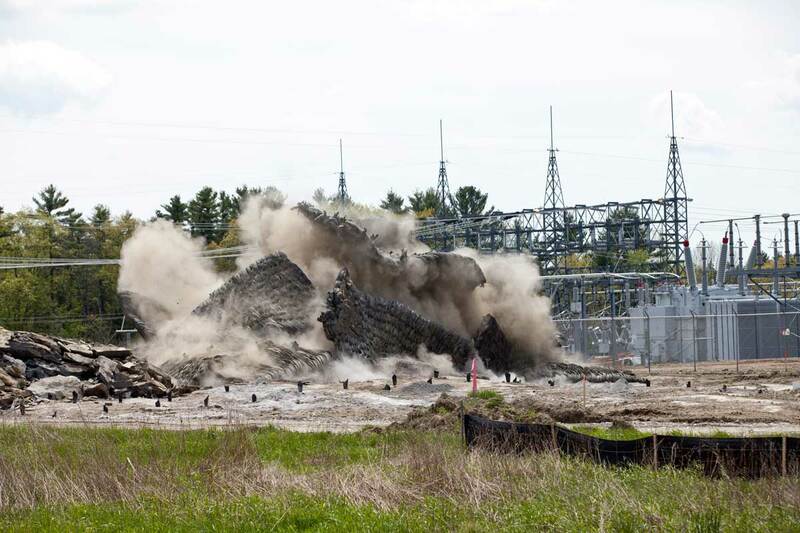 The schedule had demolition and blasting in each of the multiple phases over a period beyond one year. 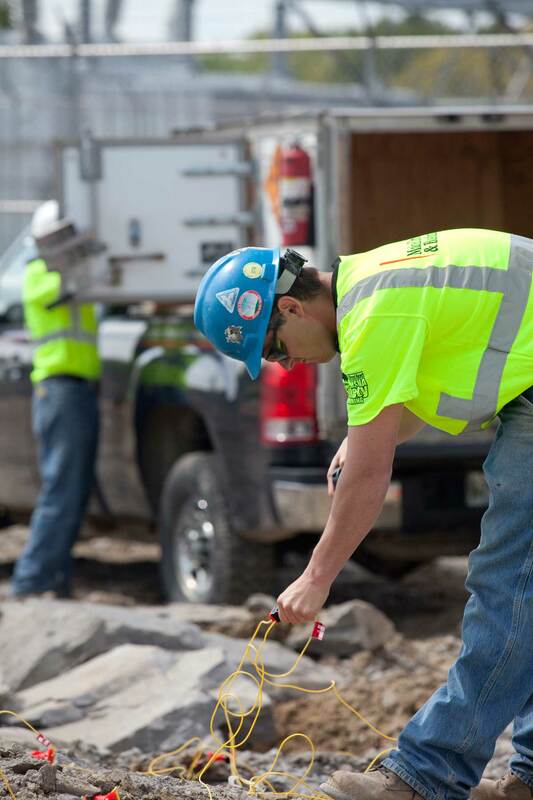 As a local blaster, Maine Drilling & Blasting mobilized whenever rock removal was needed within 24 hours.